Hailey police arrested a 19-year-old Hailey woman early Saturday morning on suspicion of felony aggravated battery following an after-party altercation in a parking lot at the Baldy View apartments. "She allegedly hit someone in the head with a beer bottle," said Hailey Police Chief Jeff Gunter. 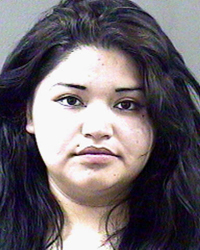 Gunter identified the woman as Paula Catalina Lopez. Lopez's alleged accomplices in the fight, 19-year-old Crystal Madrigal and a 17-year-old girl, both from Hailey, were not arrested but face charges of misdemeanor battery. Gunter said three other Hailey residents, a 20-year-old man, a 21-year-old woman and a 15-year-old girl, were allegedly attacked by the three defendants. He said the man and the girl were treated for injuries and released for injuries at St. Luke's Wood River Medical Center. Gunter said police were called to the Baldy View Apartments shortly before 2 a.m. early Saturday morning. He said the alleged victims and assailants had apparently attended a party at a home several blocks away where a verbal altercation occurred. The dispute later erupted into a fight in the parking lot. "It was a real mess," Gunter said. "And it took quite a while to sort it out."